Glenveagh Castle sits in the centre of what is now a national park in Donegal, consisting of some 16000 hectares of wilderness, bogs, mountains and lakes. Originally a Victorian hunting and fishing lodge it is now a safe haven for wild life and birds of prey, golden eagles having been reintroduced and successfully bred recently. 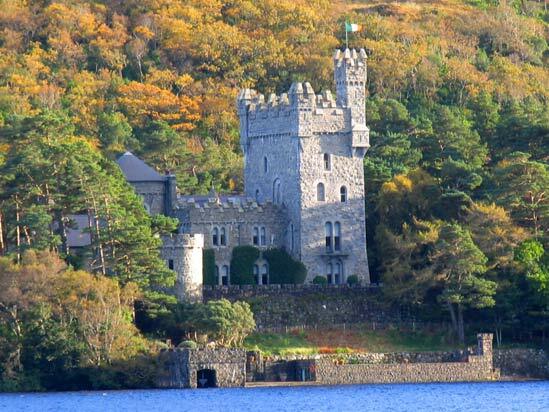 Glenveagh has had a long American-Irish connection having been bought in the 1850s by John Adair, who built the baronial style castle, his wealthy American wife Cornelia added the gardens and continued to entertain and spend her summers there until she died in 1921. The estate was then owner briefly by Professor Kingsley Porter of Harvard University who disappeared mysteriously on a trip to Inisboffin island off the north coast of Donegal. After that Glenveagh was sold to another American Mr Henry McElhinny from Philadelphia who happily lavished his time and money on it for some 40 years before selling the estate to the Office of Public Works. In 1983 he kindly bestowed the castle and gardens to the nation. The remoteness of the estate's location was constantly an issue for the succession of owners back then, but luckily that same isolation preserved this wonderful estate in pristine condition for generations to come. 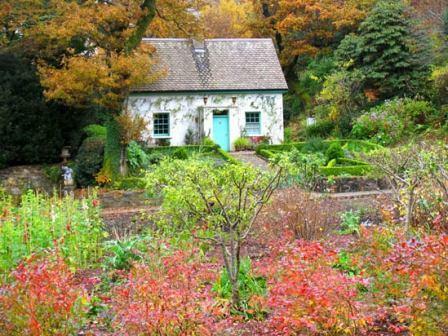 Entry to the estate, by shuttle bus from the visitor centre €3 return, is free. Guided tours of the castle cost €5, the gardens and trails are free and there is very nice tearooms with homebaking and some souvenirs. For more information re visiting Glenveagh Castle please click here. While you are there I would highly recommend visiting Glebe House & Gallery which is only a couple of kms away. Former home of artist Derek Hill, patron of the Tory School of Painters, who kindly bequeathed his beautiful rectory and its contents including his valuable collection of Irish and International art to the Irish nation in 1980. For more Things to See and Do in Donegal please click here.